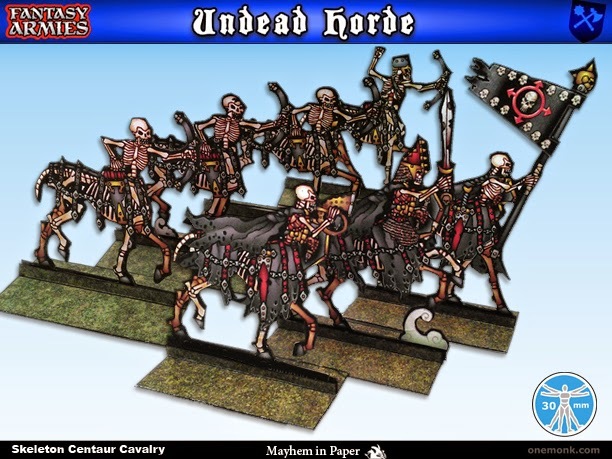 One Monk Miniatures: Skeleton Centaur Cavalry released! 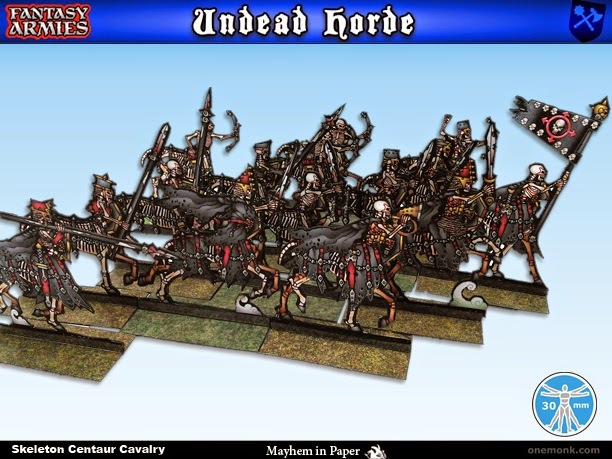 Swell your undead forces with this new set of resurrected woodland defenders! 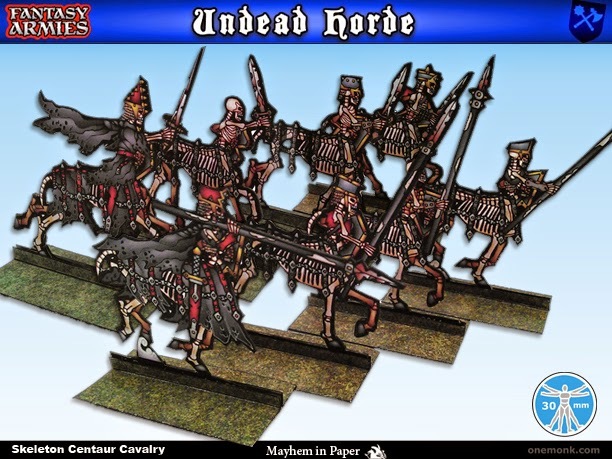 Set of 15 skeleton centaur cavalry figures armed with bows, spears, swords and shields, complete with a set of command figures: banner bearer, musician and regimental leader; set of 6 banners. Thank the gods they are just paper - though very pretty paper at that. Un-dead Centaur Cav punches way too many buttons for my bank account to be safe if they were lead.